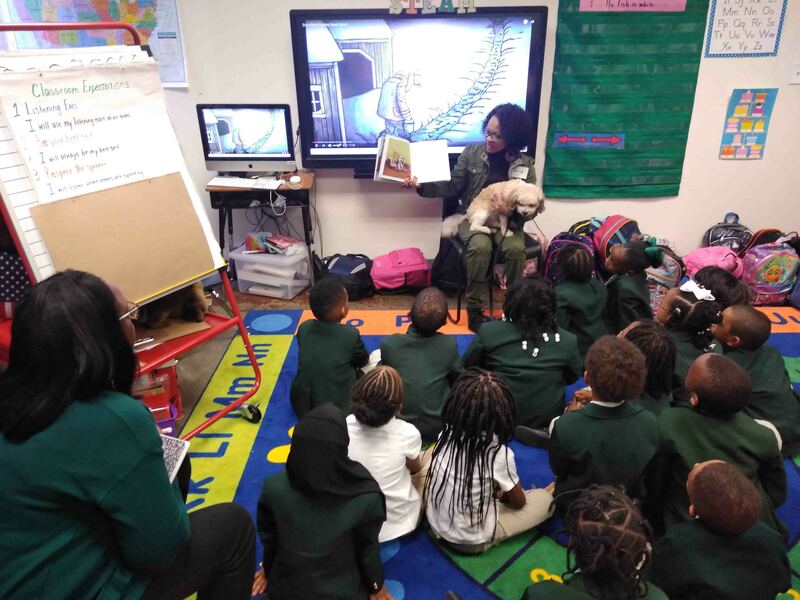 Getting younger students invested in reading and literature is no easy task. For some teachers, the best way is a book filled with alluring pictures. For others, the secret ingredient is a fantastic story that captures the imagination. For one DeKalb County School District (DCSD) employee, it’s the entertainment provided by her household pet, Samson. During normal weekday work hours, DCSD East DeKalb Campus administrative assistant Sharon Liner-Ervin is a typical education worker: diligent, welcoming, and meticulous. After work, she engages in her creative passions as a children’s book author and playful poet, which recently resulted in Liner’s first published book, Getting to Know Samson. Getting to Know Samson is a book designed for children aged 2 to 7. The book, which revolves around a day in the life of Liner-Ervin’s pet dog, features illustrations by Anthony and Erica Schmidt. 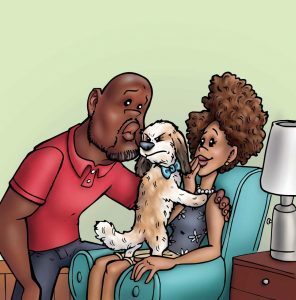 Told through an ongoing rhyme scheme, Getting to Know Samson follows Samson as he gets up, introduces himself, creates mischief, entertains his owner, eats pickles, drinks tea and goes back to sleep. So far, Liner-Ervin has sold more than 100 copies via Amazon.com and more than 30 in person—a result that has inspired her to begin a second book with the same illustration team. Liner-Ervin has always been a writer at heart. She can recall days in elementary school when classmates would be outside playing while she spent time in indoors writing and reading. Today, her spare time is dedicated to a poetry blog, writing YouTube video scripts and skits, and developing motivational passages for women. Liner-Ervin has already started taking her book on tour. She recently read to DeKalb Academy of Technology & Environment, a DCSD charter school, and brought Samson along to take part in the event. For her, the entire process—reading publicly, writing, developing a final book—is about helping students find a joy for reading. Getting to Know Samson, according to Liner-Ervin, is designed to help students who are trying to understand concepts, sentence structure, and how to access parts of their imagination. For more information on Sharon Liner-Ervin’s work, visit www.poeticworship.com or www.woweministry.com.